The Explorer Series is the perfect balance between price and value. 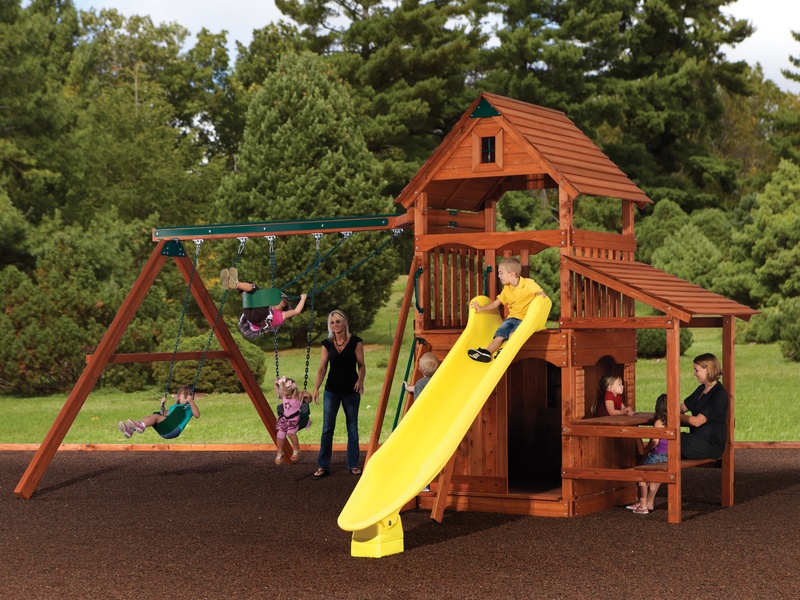 It is a high quality series with many heavy-duty features like the Treehouse and Peak play sets. 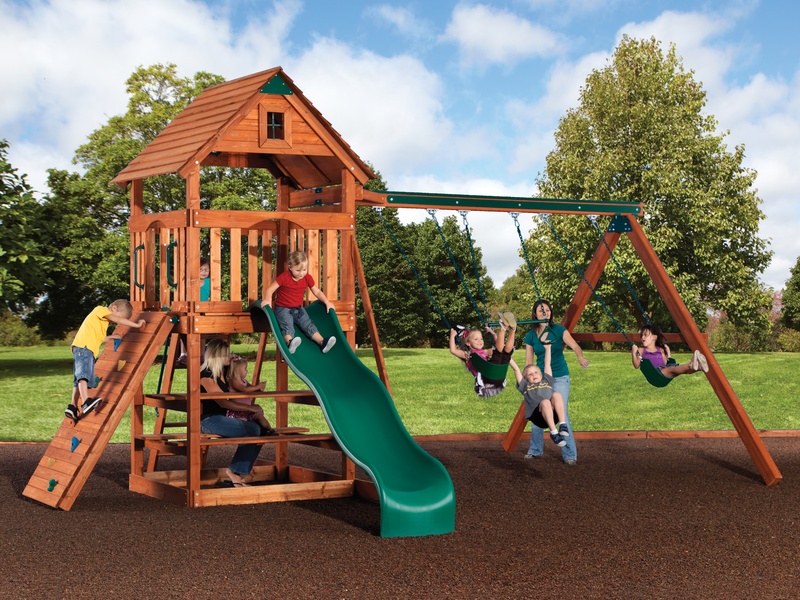 Explorer play sets are designed for children of all ages and provide the ultimate combination of quality, affordability, convenience and of course, fun. 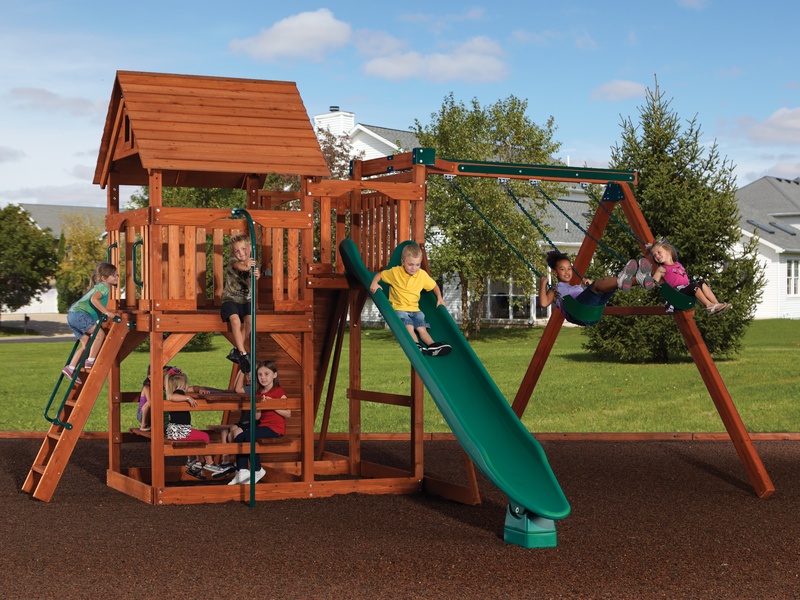 The Explorer Series playgrounds are semi-modular and include many high-quality features. The deck heights vary between 5 and 6 feet. Swing heights as tall as 9 feet, with slide lengths between 10 and 12 feet long. Additionally, many of the Treehouse and Peak accessories can be added to Explorer Series playsets. We've borrowed some vital safety features from our other play sets - notably, the steel strip on the swing beams, the heavy ductile swing hangers, thick gauge chains, and flat-step ladders. 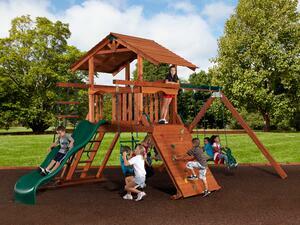 Each feature adds even more value to an already solid wooden playset design. 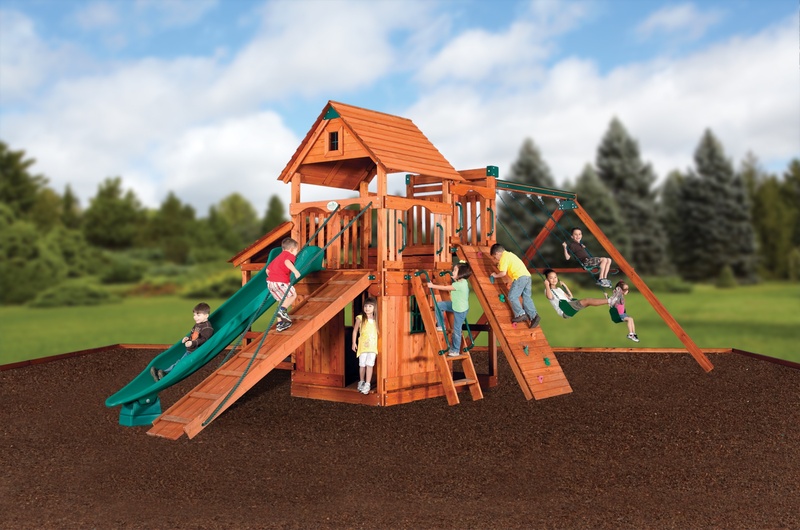 The Explorer Series is comprised of two different fort structures, the Magellan and the Mountaineer, each with unique standard accessories. 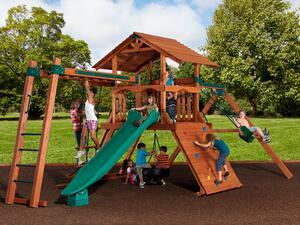 When considering and Explorer play set, first select your fort structure and your swing beam. Then choose from our selection of slides and decide which sing accessories will be best for your children. 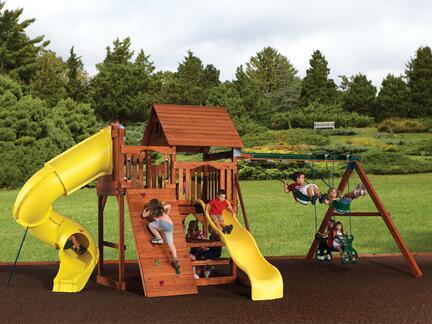 It is that easy to have the perfect play set for your family! 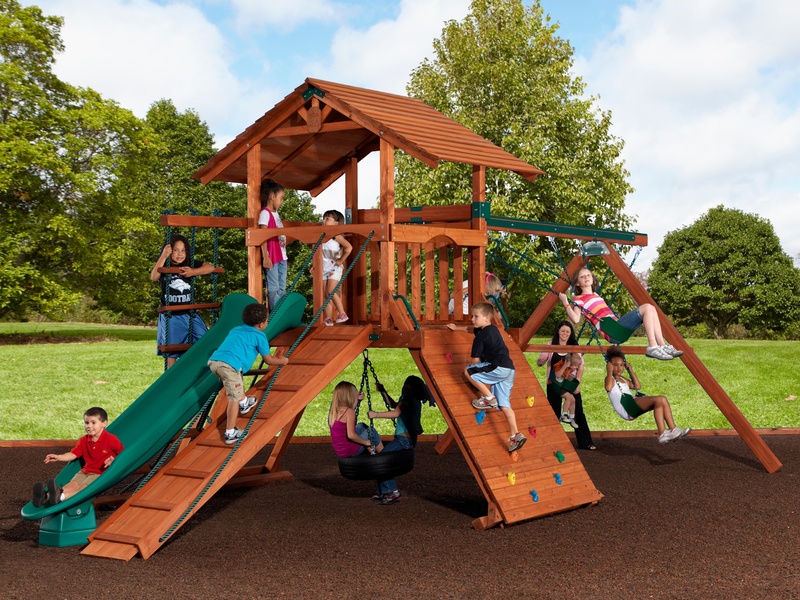 Compare the wood, accessory options, construction and design of similarly priced play sets and you'll see why the Backyard Adventures Explorer Series is the indisputable leader!